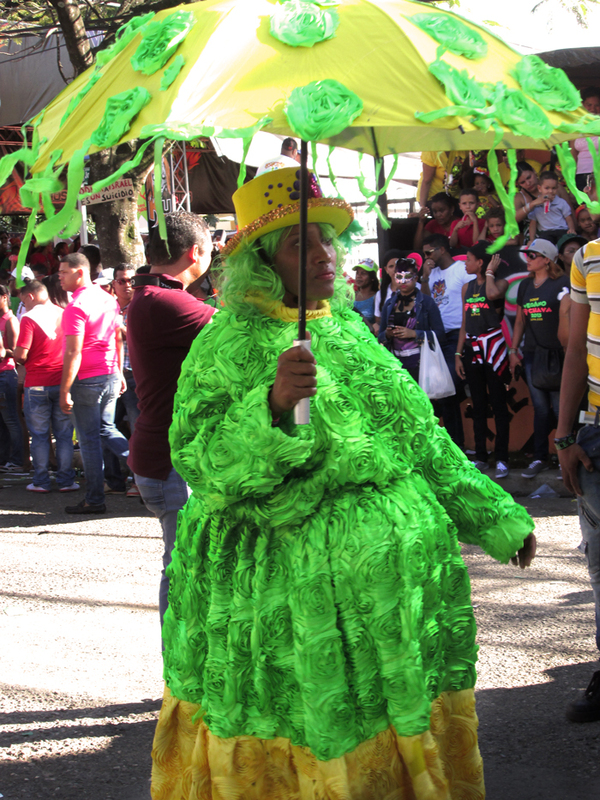 CARNAVAL IN THE DOMINICAN REPUBLIC CAN BE A REAL PAIN IN THE REAR. 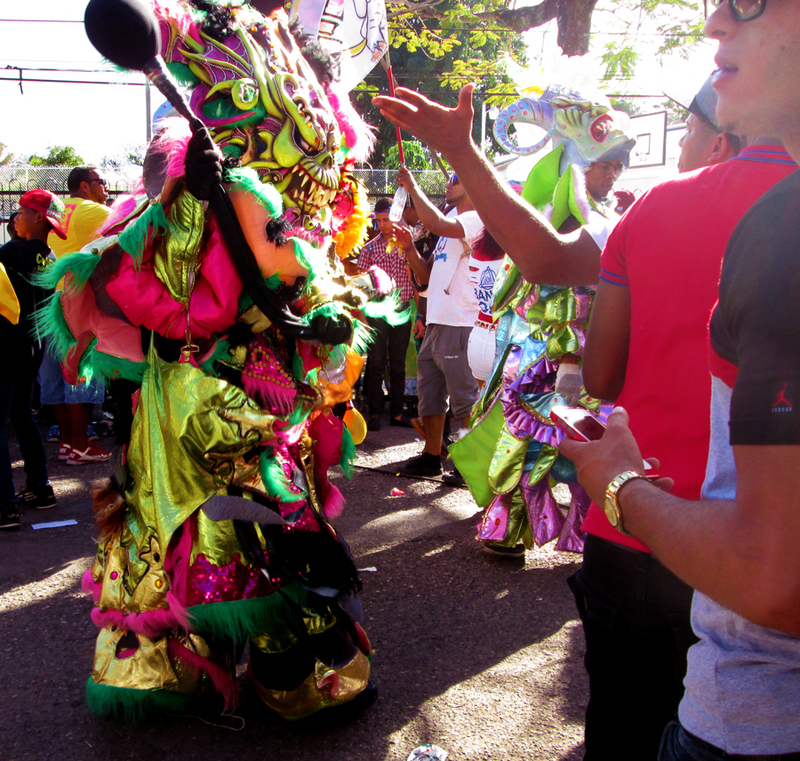 If you’re unlucky enough to be swatted on the behind with the heavy smack of a vejiga, you will literally feel it. 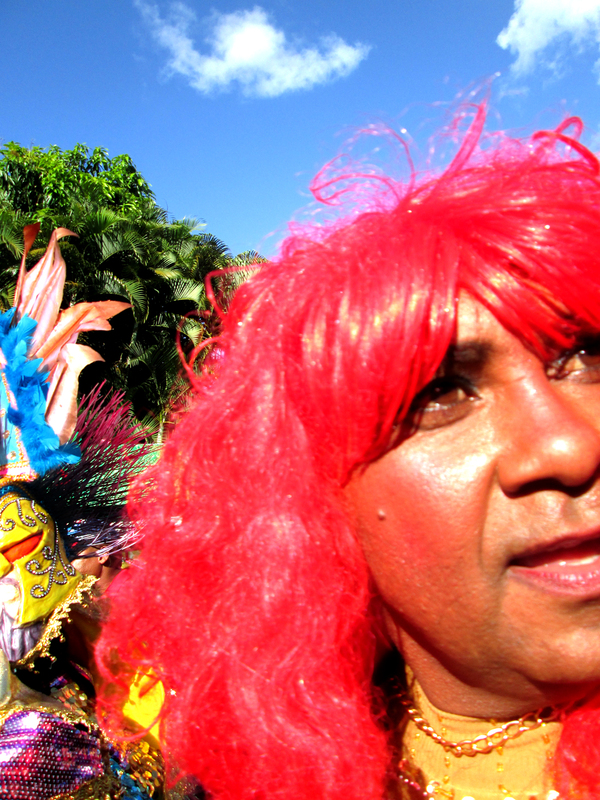 The vejiga is as much an integral part of Dominican Carnaval as are lustrous feathers, bright wigs and rhinestones. 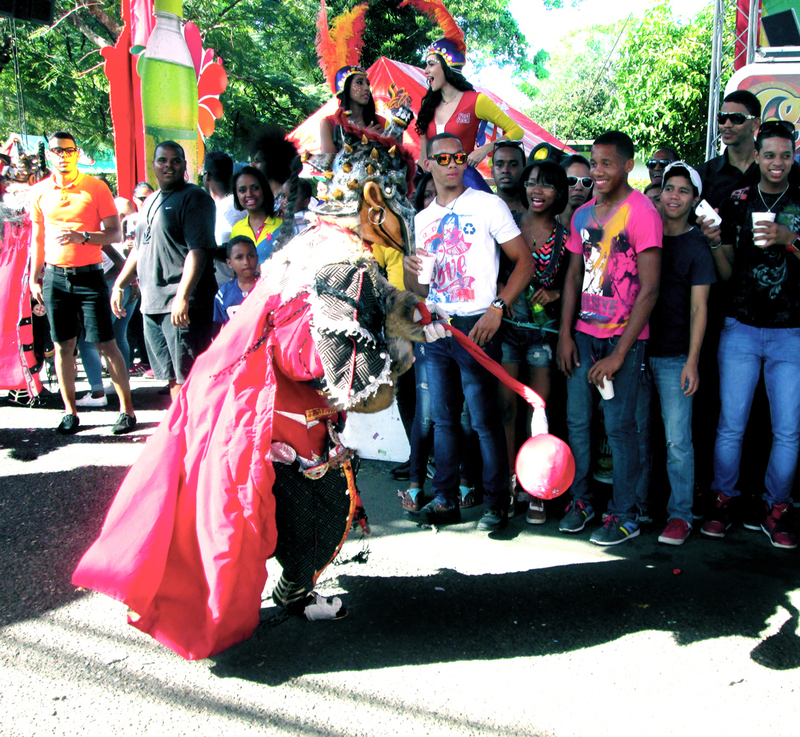 This hard football-like object is a vestige of Carnaval’s roots in slavery and the colonization of the island by the Spaniards. 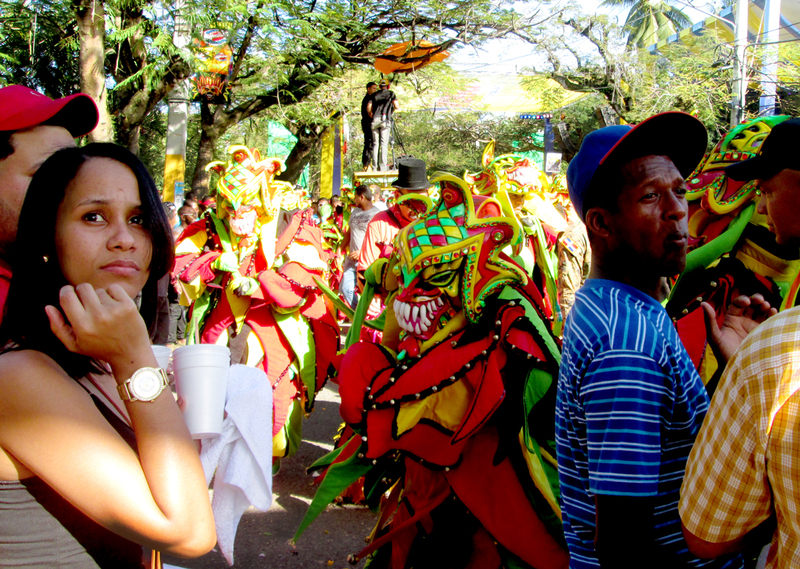 In the 1500s, when the very first Carnavals were held in La Vega, a small, ancient town in one of the country’s lushest valleys, African slaves employed the vejiga as playful and impactful retribution against their masters’ whips. 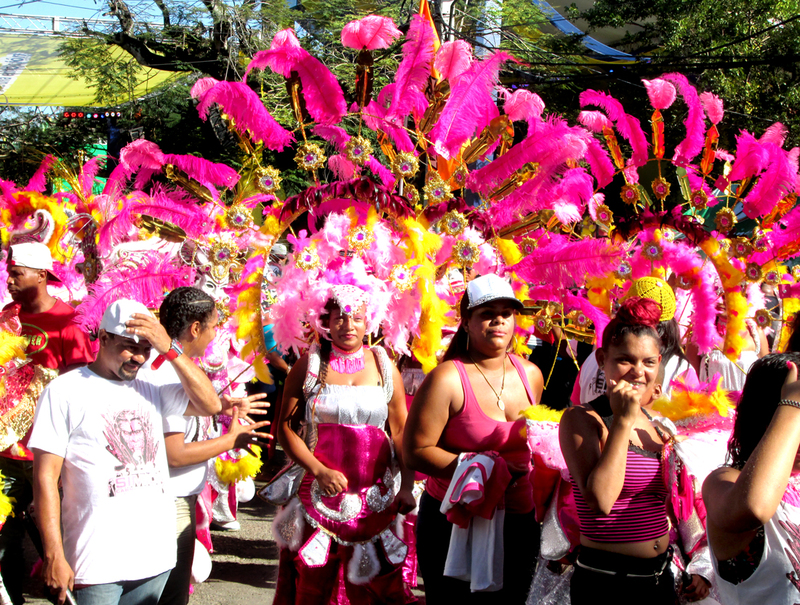 Carnaval was promoted by plantation owners as a way to free up tension with a grand party in which all social tables were turned. 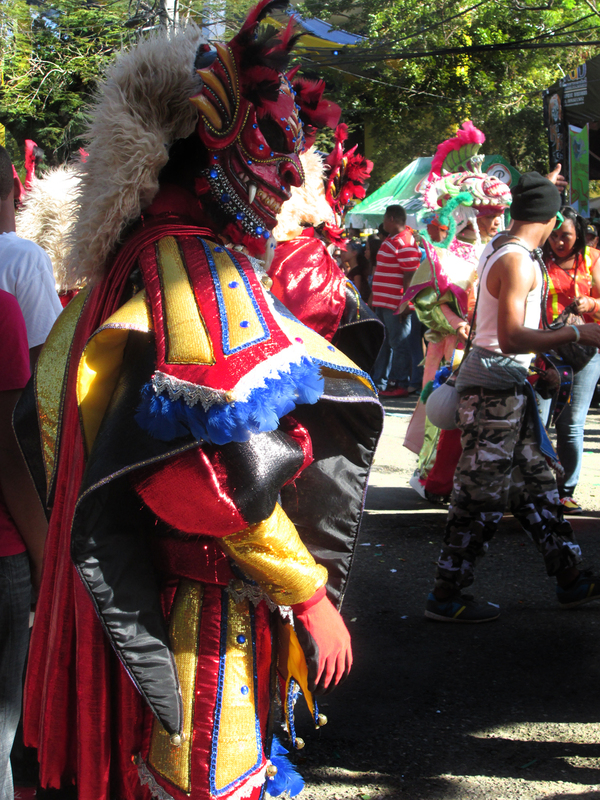 Slaves got to play master and conquerer, and the vejiga was their not-so-playful weapon: tough pig-skin sewn together and stuffed with seed or rock and tethered on a stick. 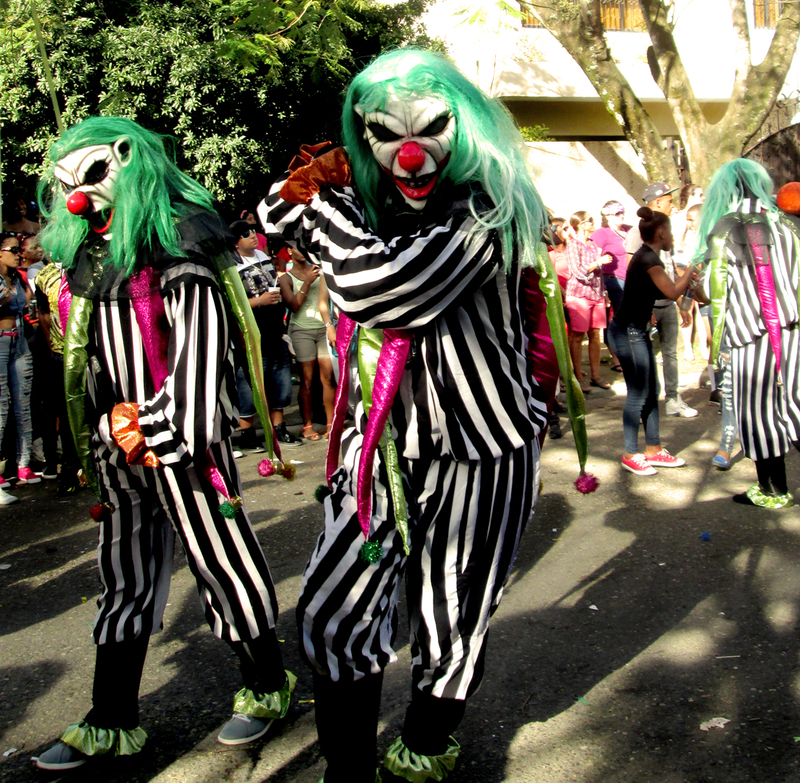 Today, they might be made rubber or pliant plastic. 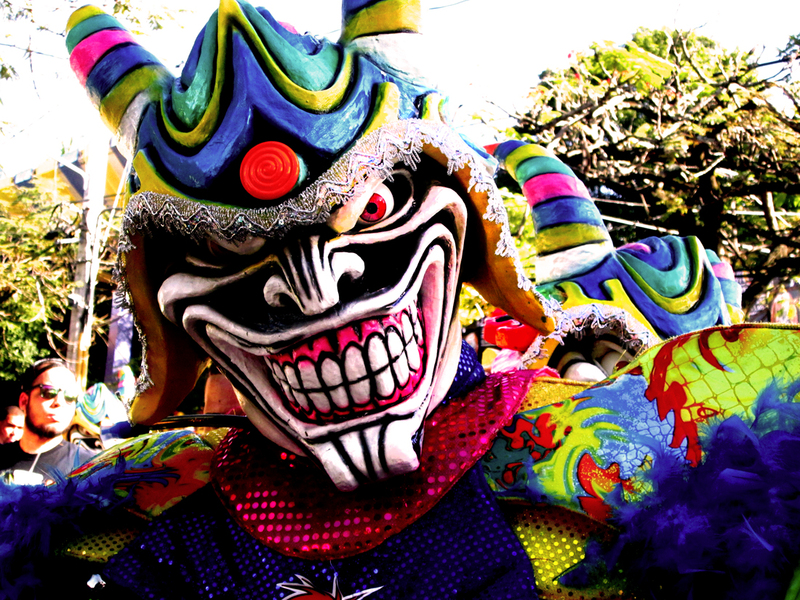 They still hurt like hell. 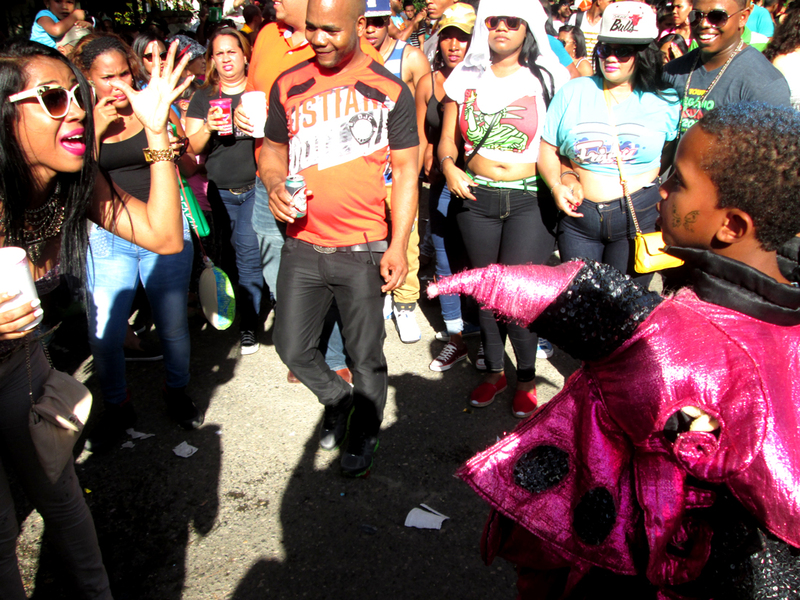 All around the world, Carnival is about the switching roles, but Dominican Carnaval has some aggressive traditions that stem from its brutal beginnings. 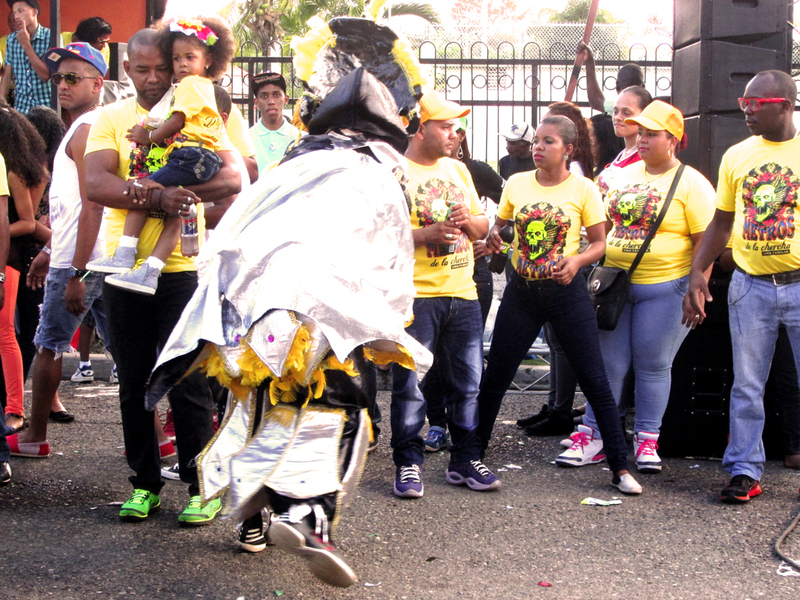 The ancient battle between white Christians of the Medieval Crusades and black Moors was played out in costume, ribald song and heavy drinking. 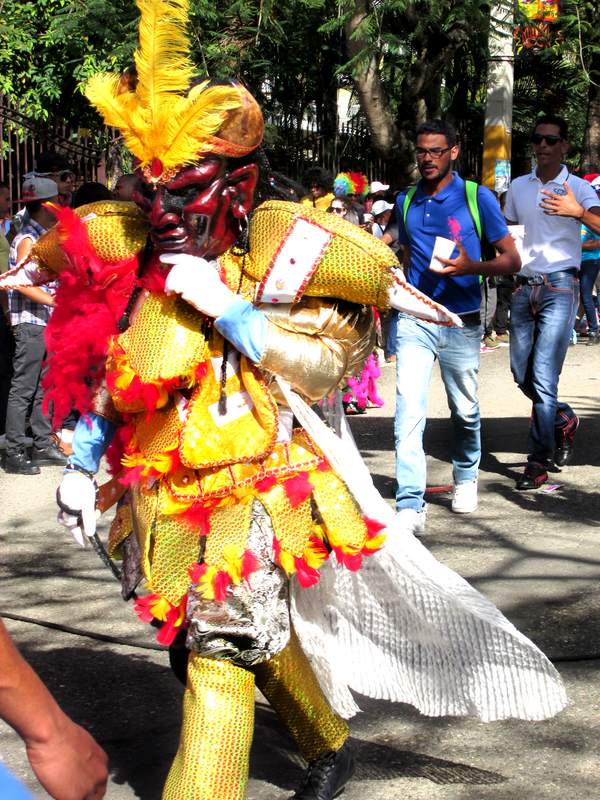 Men dressed as women, black painted up as white, and the colonizers were depicted as demons or shining knights, albeit with demonic faces. 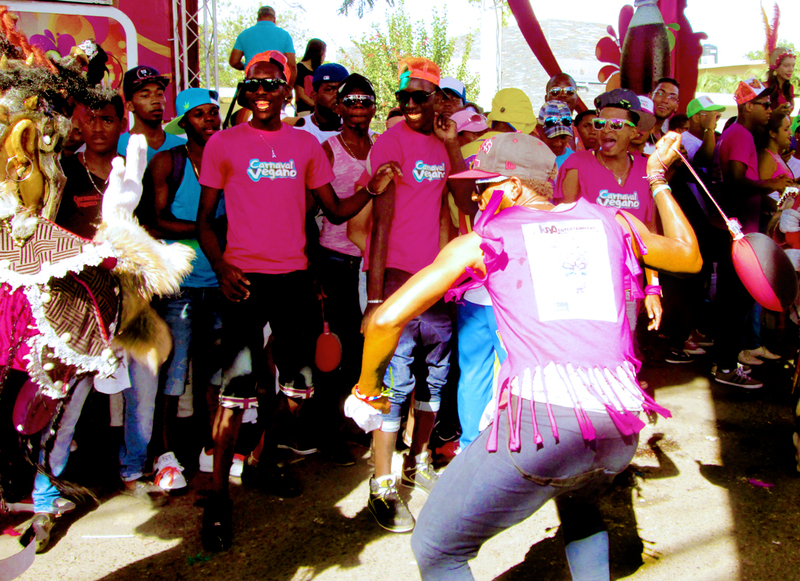 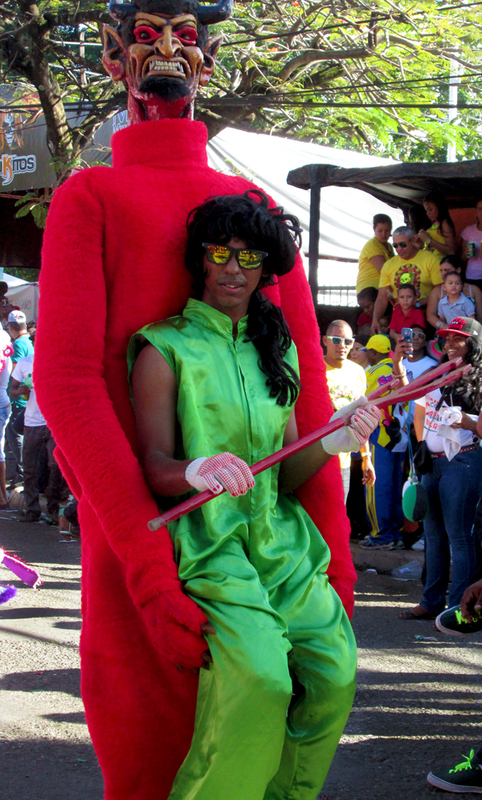 In some cities in the country, like Montecristi in the far northwest by the Haitian border, the Carnaval clubs dress as opposing sides and literally fight in the streets throughout the festivities, whips and all. 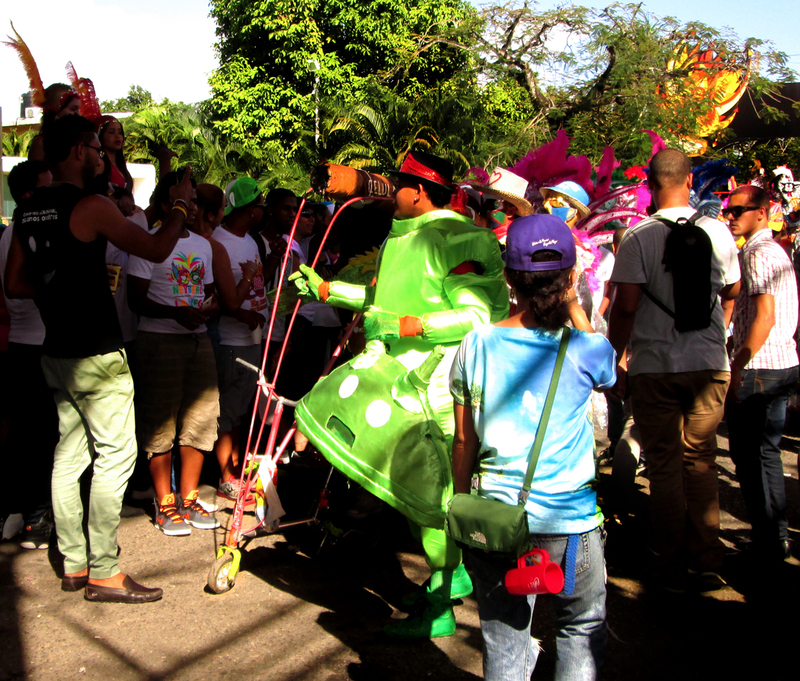 Nowadays, Carnaval can take on a number of styles depending on the city (if you read my post on Santo Domingo Este’s post-modern version of Carnaval, you’ll know what I mean). 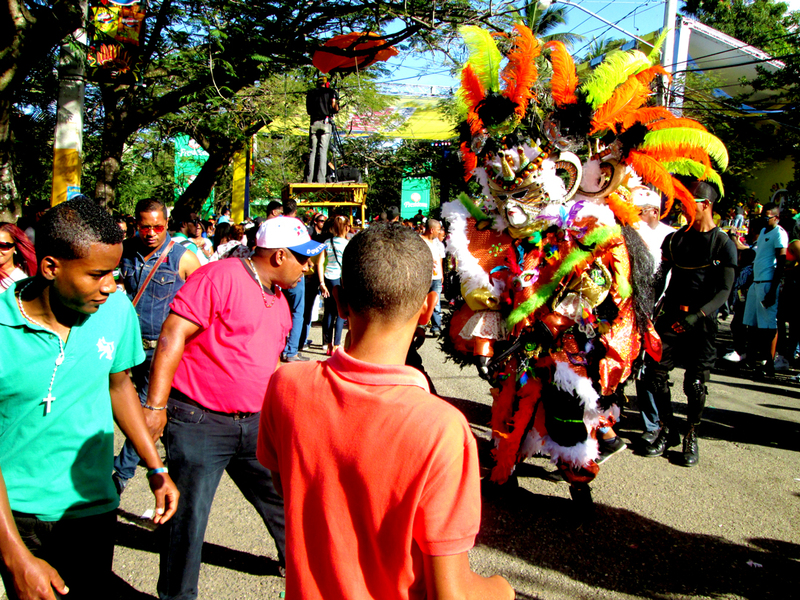 Santo Domingo’s national Carnaval happening this Sunday, February 28th (The weekend of Dominican Independence Day, on Friday, February 27th) is like a greatest hits of every city’s tradition. 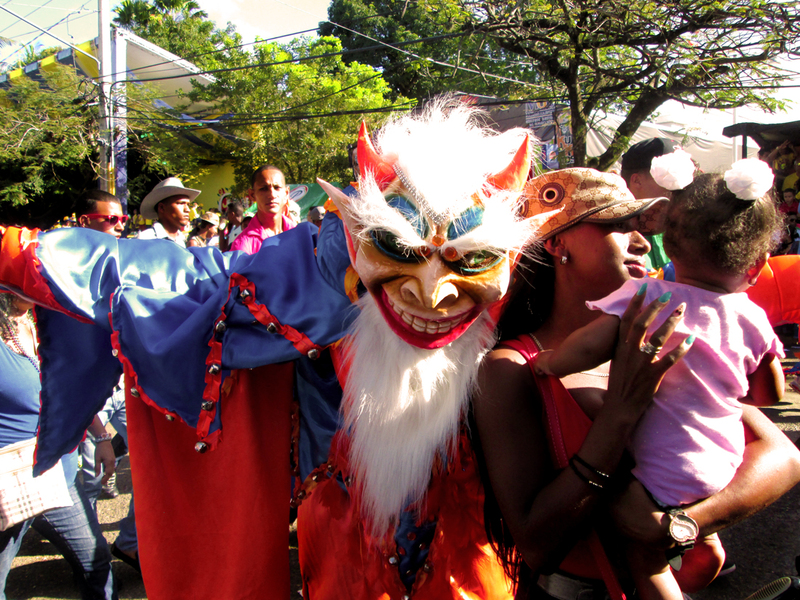 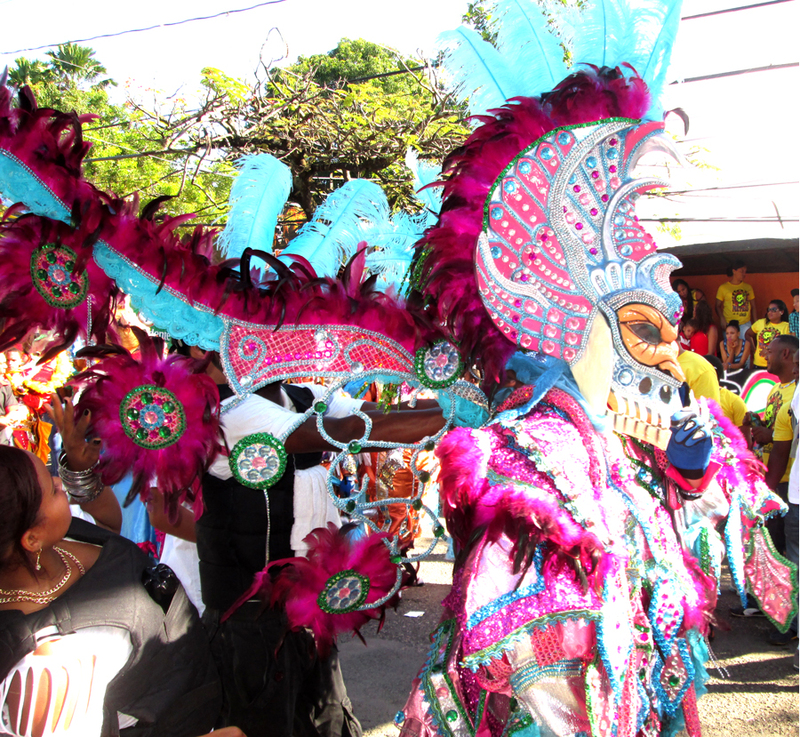 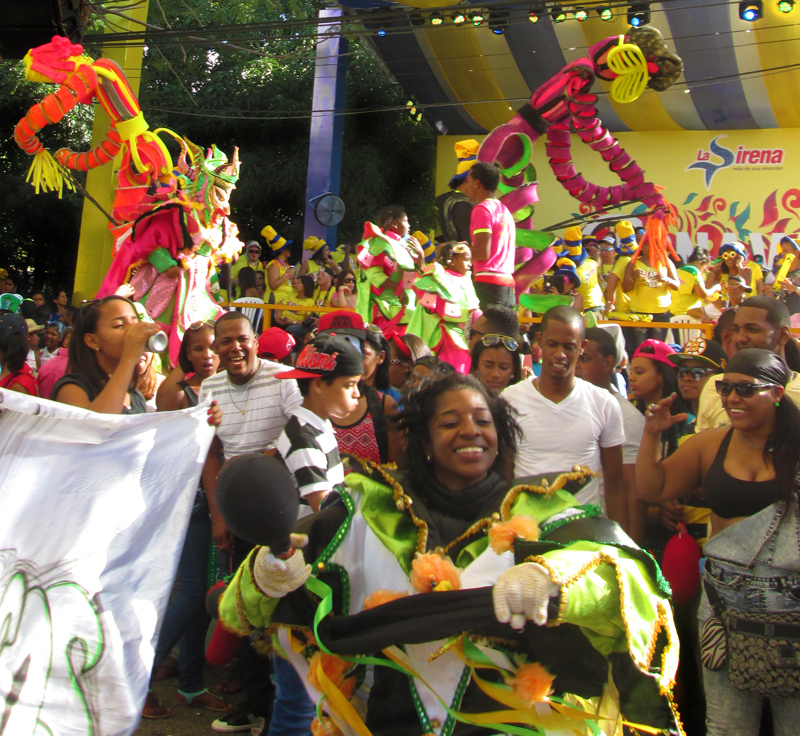 The true essence of Dominican Carnaval and its historical roots is found here in La Vega. 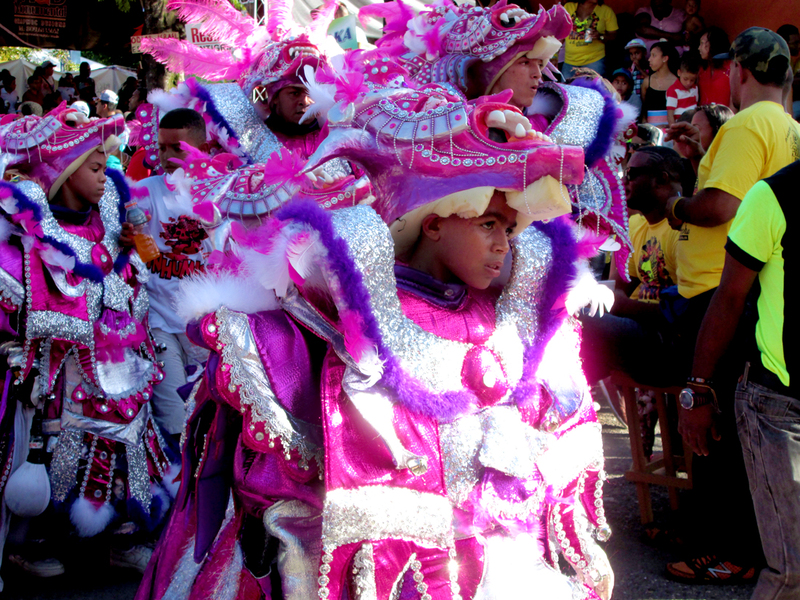 It’s a beautiful display of great costumes and inspired—yet painful—partying. 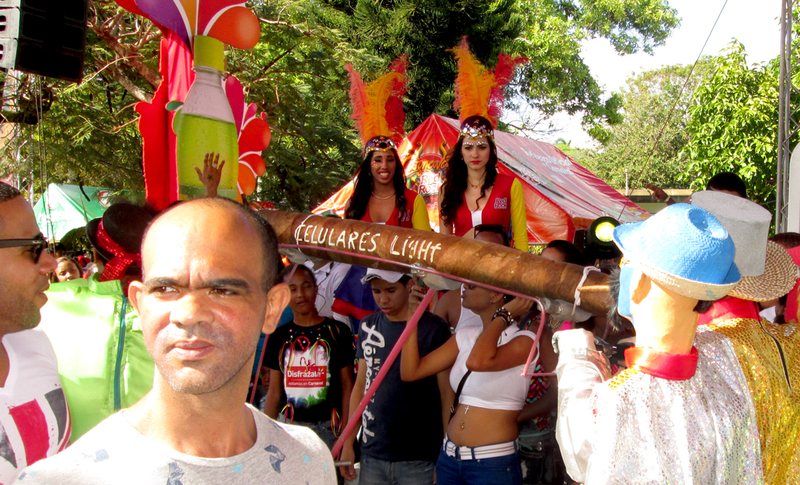 La Vega’s premiere club exits the traditional “cave” of Vegan Carnaval. 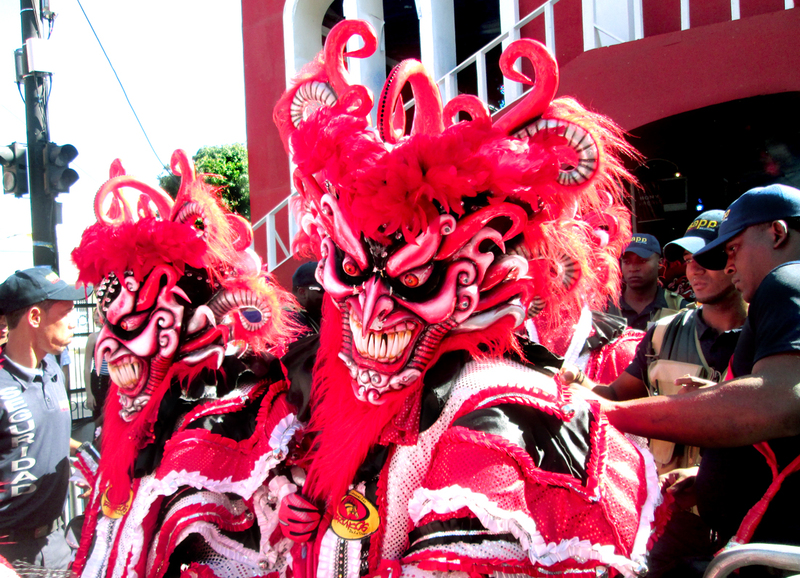 They represent the official face of Los Diablos Cajuelos in La Vega. 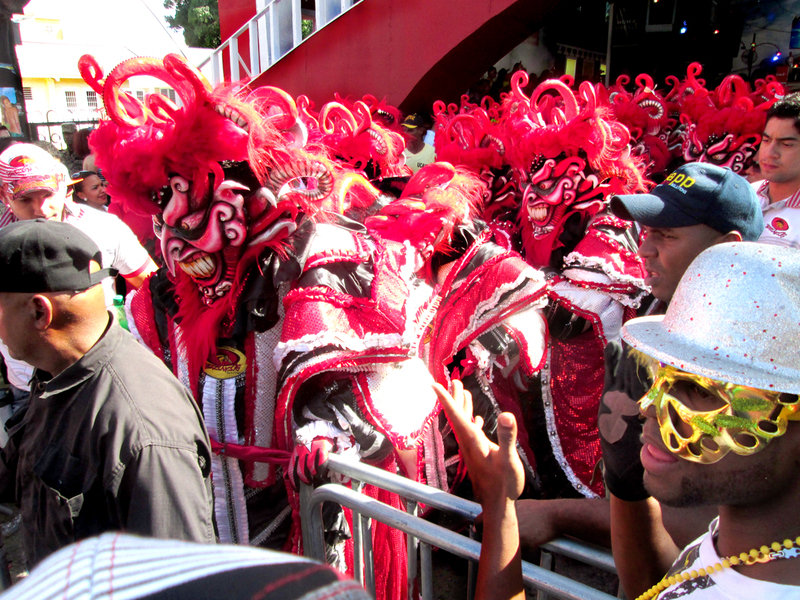 Lucky club members get to pre-game to blaring merengue inside the cave alongside Los Diablos before they make their ascent onto Avenida España.